France has been a hotbed of amazing animation recently, with a ton of fascinating features being released over the past few years. However, despite having a rich tradition of comics aimed at mature audiences, adult animation is rarely produced in the country. Director Jérémie Périn and screenwriter Balak hope to change that with Lastman, an adult animated series based on the graphic novel series of the same name. The 26 episode series is being made by animation studio Je Suis Bien Content - the studio behind features Persepolis and April and The Extraordinary World, and is being backed by France's TV 4 Network. There's only one problem- with 10 episodes in the bag an unnamed international investor pulled out. Now the producers are turning to animation fans around the world- via Kickstarter.-to help them complete the remaining episodes. 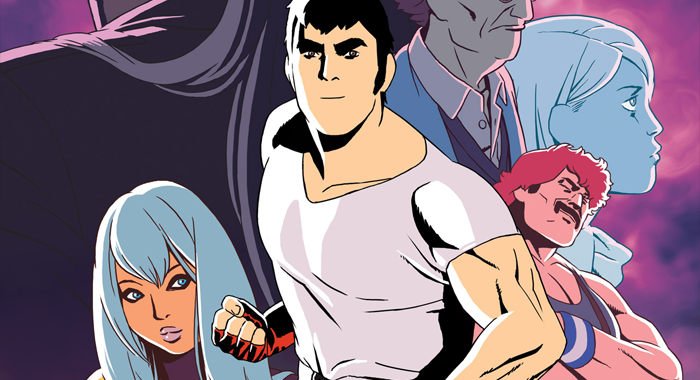 Lastman combines "fighting, gangsters and [the] supernatural" and is, in fact, a prequel to the titular comic, exploring the younger years of main character Richard Aldana. No prior knowledge is needed though, and this looks like an entertaining series for fans of animated action. Despite being billed as "anime" this clearly takes its cues more from the French 'bande dessinee' tradition', artistically at least. The initial goal of €75,000 (which has already been surpassed) was enough to "save" two episodes. Ultimately they hope to raise €325,000 to complete the whole season, but if not, the total raised will be split between the remaining episodes. If you think this seems like a project you'd like to get behind, head over to the campaign page now. The campaign will run until August 24th 2016.